4k00:12A manta ray swims underwater. 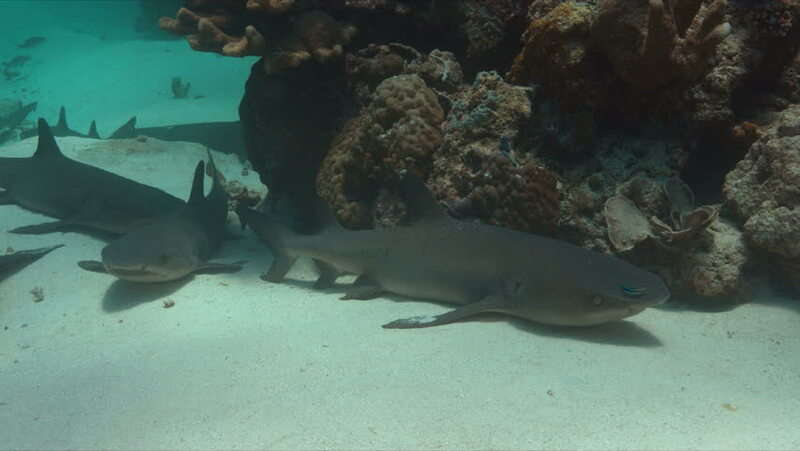 hd00:30Port Jackson Shark's Laying on the ocean floor. hd00:28Painted sweetlip (Diagramma picta) with cuttted tail under the Precontinent n coral of Red sea Sudan Shaab Rumi. hd00:07Small shark swimming through the water, in an exotic aquarium.